Fast Delivery within 4 days. Easy to assemble. Only use lower power and good enough for bedroom. Bought 2 europace 16 inch stand fans and received the item within a few days. Hasnt installed and used the fans because they are presents. But for $32+/fan (after voucher discount) and its warranty, I think it is quite worth it. Very good deal. Will come back to check out for more items. Item arrived in good condition. Hi, if order now, can delivery be arranged end-April or early May? With regards to rescheduling, you may contact q-express directly. does the 3 years warranty cover all parts & labour? how to obtain the official receipt for warranty purposes? are all your fan models having 3 pins or 2 pins plugs? can all your fans models oscillate? where can we see the actual set? where got display set? this is an online exculsive model. we don't have display for this model. whats the features differences between ESF316Q and MSF216P? whats the features differences between ESF316Q and ESF216P? what is the meaning of B3 in this listing? can all your fans models tilt up & down? this model can tilt up and down, manually. can use increase the price of ESF316Q from $49.90 to $50 so customer can use the coupon? no u did not adjust to $50. so still need to pay Qprime delivery. can u do carefully? today running on special promo price... only for today. so when will the price change to $50? so you mean tomorrow 20 March 2019 the price will be changed to $50? 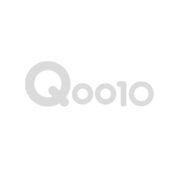 qoo10 promo price extended, it will be back to normal price only after the promo ended. i had just puschased a standing fan from you. but there is not delivery time to be chosen. can you advise when you can ship the item to me? i want to make sure someone is at home to receive the fan. Thank you for purchasing from Europace. Delivery via qxpress, Lead time 2 to 7 working days. Please register your warranty online to enjoy additional 3 months warranty.